A cross marks where Crisencio Aliado, 52, was killed by two pit bull-mixes. 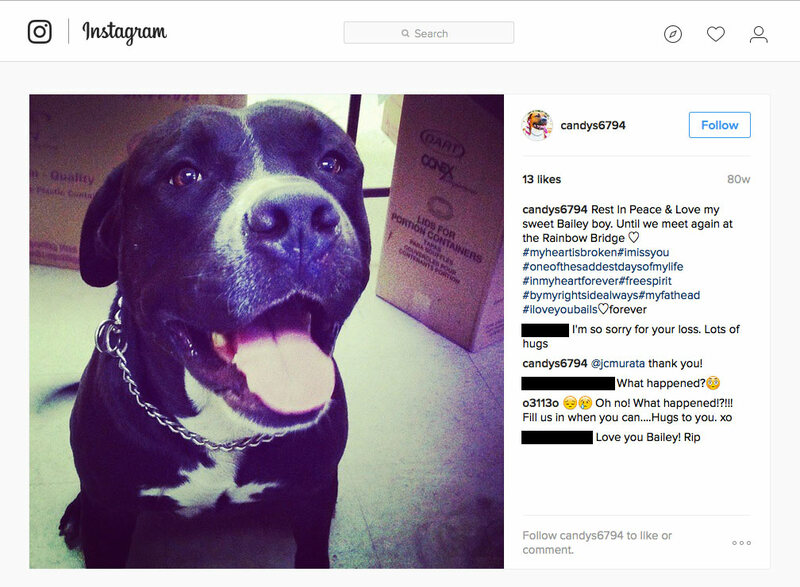 UPDATE 08/12/16: It was announced this week that Honolulu authorities released the two pit bull-mixes that killed a homeless man back to their owners. 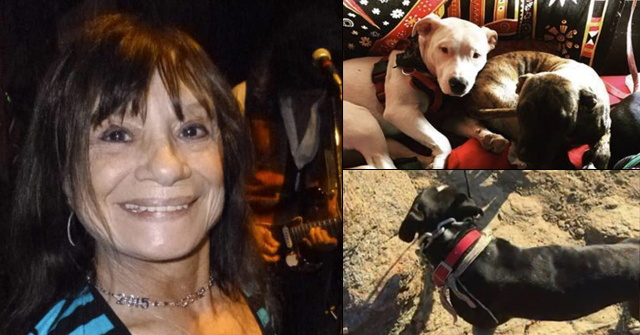 On July 29, the two pit bulls escaped the fencing from the dog owners' business, ContainerLand, and fatally attacked 52-year old Crisencio Aliado who was washing his clothes in a nearby stream. Police are apparently waiting on a formal report from the medical examiner's office before taking any further action. 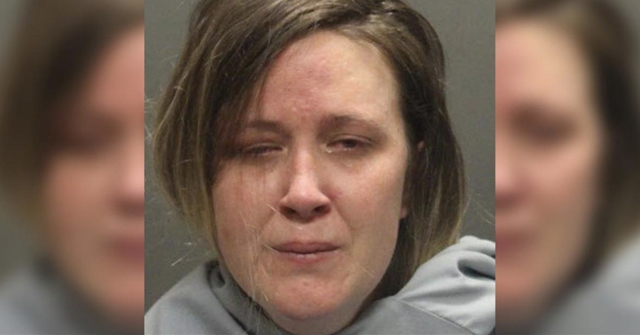 "Normal" dog owners would have relinquished the dogs to authorities to be euthanized after a fatal attack. An antisocial dog owner would not. There appears to be no state or local statute that allows police to impound and euthanize a dog that kills a person when a case lacks evidence supporting criminal charges. So in Honolulu, when a dog escapes its owner's property and kills a person on public property, no criminal charges apply unless the dog was previously declared dangerous. That is not uncommon in other states, but lacking the authority to impound and euthanize a dog that kills a person is uncommon. All that local law requires in this case is for the ContainerLand owners to keep their two pit bull-mixes "secure" at their home. 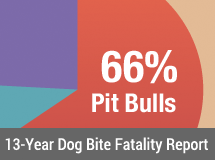 The public's safety is entrusted to the very same delinquent dog owners who failed to keep their animals secure at their business and the result was the violent mauling death of an innocent man. City Councilman Joey Manahan and Honolulu attorney Richard Turbin, who has represented dog attack victims in the past, both expressed alarm to KITV. "That is a frightening prospect, when you have dogs who have killed a human being, running loose in a neighborhood." - Attorney Richard Turbin. Turbin talked about a state statute that allows for any person to file an application with the courts of Hawaii for a "dangerous dog" designation if the person believes it is dangerous. We could find no reference to this in online searches, but Texas has a similar statute and is commonly seen posted on city or county animal control websites. That this right exists for Hawaii citizens, but is hidden from view, is the direct failure of the Hawaiian Humane Society and the city of Honolulu. Nearby businesses also told KITV the same dogs had gotten loose in the industrial area before. Surveillance footage might exist for the deadly attack as well. One company said that police looked at surveillance video that showed Aliado picking up cans along the stream. Police did not say if they viewed any attack footage. Homeless people in the area told KITV they believed the same dogs were involved in previous attacks, but it is unknown if any were reported to authorities. On the heels of this KITV update, the news group published a follow up, reporting that a second victim came forward. Francine Kornegay, who lives under the airport viaduct, told KITV she was attacked over a year ago by two dogs near the ContainerLand store in Kalihi. A witness called emergency responders who arrived shortly after the attack. Kornegay said she believes a man let three dogs out from behind a fenced area when two of the dogs, both pit bull-mixes, attacked her. The owners of ContainerLand admitted that they helped Kornegay, who was transported to Tripler Army Medical Center. They paid for her antibiotics and brought her food, reports KITV. The owners said they had five dogs at that time -- at least three were pit bull-mixes according to their personal Facebook pages. The owners were unsure if the same dogs were involved in both attacks. 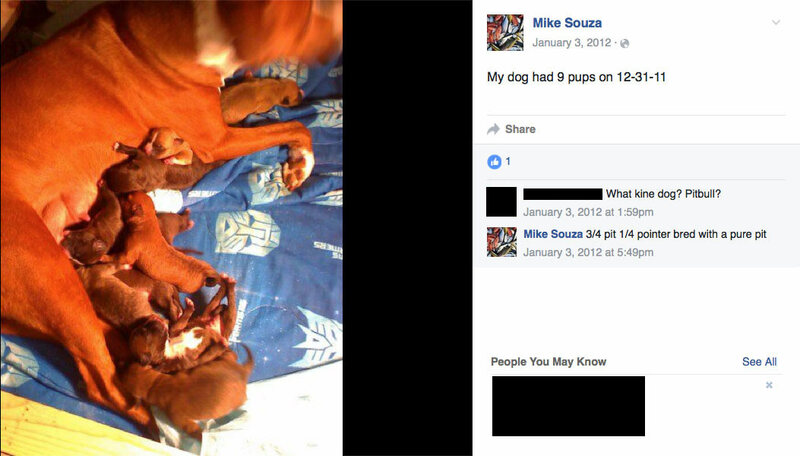 The owners said two of their dogs died in 2015. One was memorialized on their Facebook pages. The owners of ContainerLand said they feel terrible about the attacks, reports KITV. But they did nothing to prevent the mauling death of Aliado either. 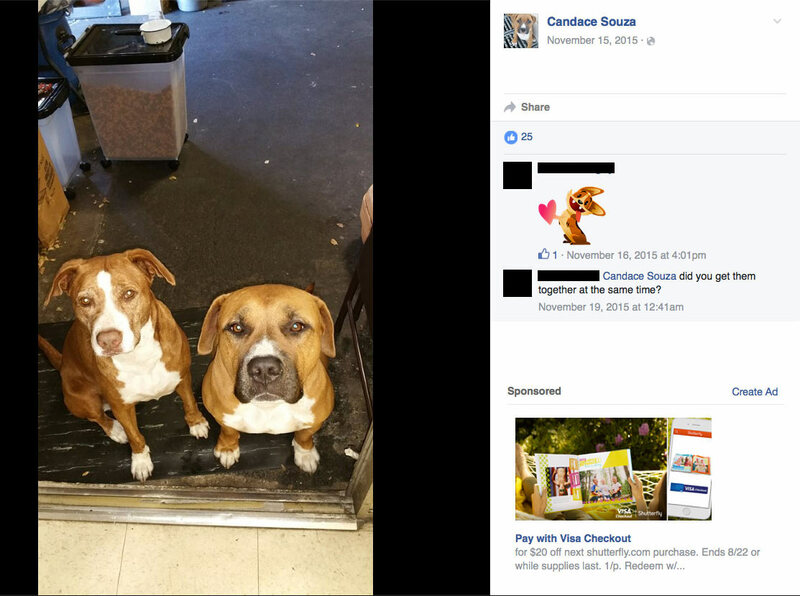 Their dogs had attacked at least once before and nearby business owners said their pit bull-mixes had escaped on previous occasions. Under an agreement with the Hawaiian Humane Society, the ContainerLand owners are "not to walk the dogs in their neighborhood," KITV reports. Quite the penalty after their dogs savagely killed a man. Editorial note added August 13: While writing this update, we noticed the owners of ContainerLand, Michael Souza and Candace Souza (a married couple), have since deactivated their Facebook pages. Due to this, we have replaced live links throughout this post, which previously linked to their Facebook pages, with screenshots and PDF files that we gathered while researching the fatal pit bull attack of Crisencio Aliado. UPDATE 08/04/16: On Tuesday, the Honolulu medical examiner determined that 52-year old Crisencio Aliado died from multiple dog bite injuries. A follow up news report by Khon 2 revealed the two dogs involved in the attack were pit bull-mixes that belonged to the owner of the nearby business, ContainerLand. Aliado was a homeless man who had been washing clothing in the nearby stream when the dogs attacked, according to the victim's friend Norbert Cardoza. The Facebook profile for ContainerLand shows it was created by Michael Souza (his name is literally in the URL). Souza's father, Norman "Pops" Souza, who passed away last August, started the business, according to his obituary. ContainerLand is also known as Diamond Head Distributors or Island Distributors, states a reviewer on the business' Yelp page. The father's obituary also states these three business names along with the name, T&R Distributors. The son is also listed as a business owner for ContainerLand and Diamond Head Distributors, the businesses share the same address. Michael's personal Facebook page states he is married to Candace. 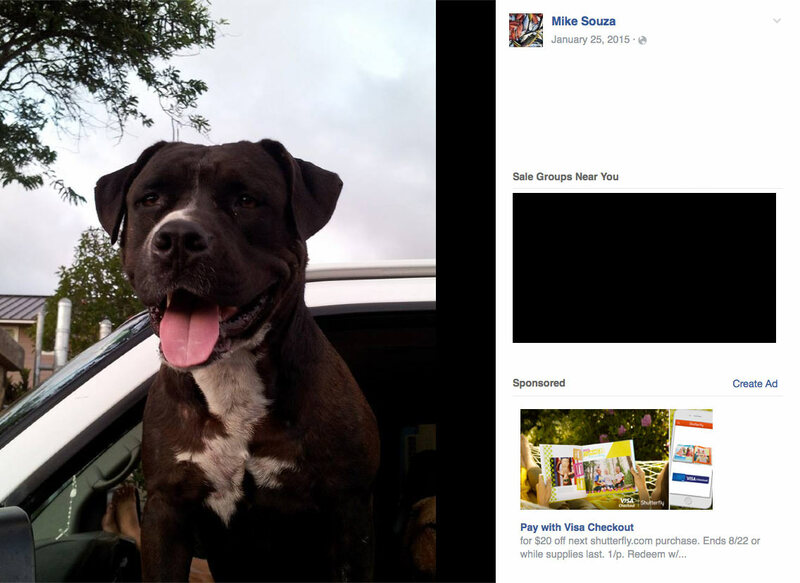 Both of their Facebook pages overwhelm with photographs of their pet pit bulls. Between the two, they appear to have at least three pit bulls. However, the black male, named Bailey, died in January 2015, which leaves the two others as the culprits.1 The couple also breeds pit bulls and Michael apparently prefers the mix of 3/4 pure pit bull terrier with 1/4 pure pointer. It is unknown if the owners will face criminal charges. Honolulu, HI - On Tuesday, the Honolulu medical examiner determined 52-year old Crisencio Aliado died from multiple dog bite injuries. Aliado, a homeless man, was attacked in Kalihi, a neighborhood of Honolulu. Khon 2 reports the attack occurred behind ContainerLand, a party supply warehouse. 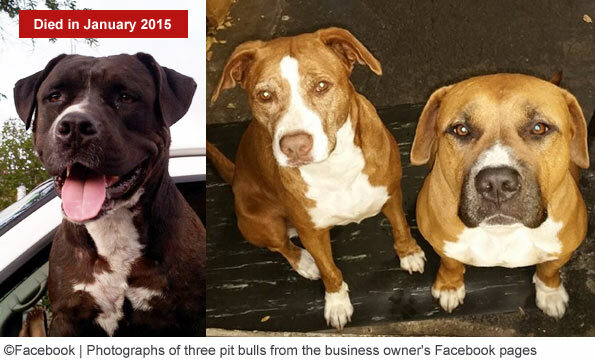 The two pit bull-mixes belong to the business owners. Witness Reno S. said, "There was a dead body. A guy was mauled. It looked like his leg and his head was all bloody." 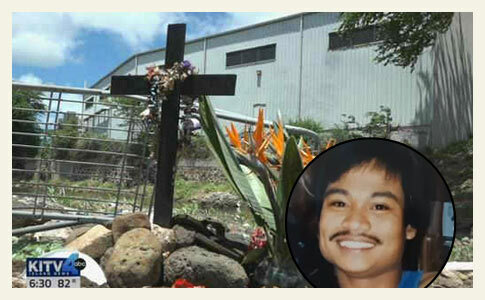 Crisencio Aliado was found dead at about 7 pm Friday, July 29, on a stream bank near Marukai, along Kamehameha Highway. One of Aliado's friends, Norbert Cardoza, said Aliado was washing his clothes in the stream at the time of the attack. “He was the most mild-mannered person you could meet. Didn’t bother nobody. Just that he was homeless,” Cardoza said. The owners of ContainerLand confirmed their two pit bull-mixes were confiscated after the deadly mauling and are currently being held at the Hawaiian Humane Society. The owner's claimed their dogs "somehow" escaped their fenced warehouse. The last fatal dog mauling in Hawaii occurred in 2008, the death of 2-month old Iokepa Liptak. 1When we published on August 4, we did not know that Bailey died last year. Upon further examination of the owner's Facebook photos, this became clear, so we updated that portion of the paragraph. Notably, on Bailey's memorial photo, one can see the container boxes in the background. In comments on the instagram photo, people ask, "What happened?" but the owner does not respond. 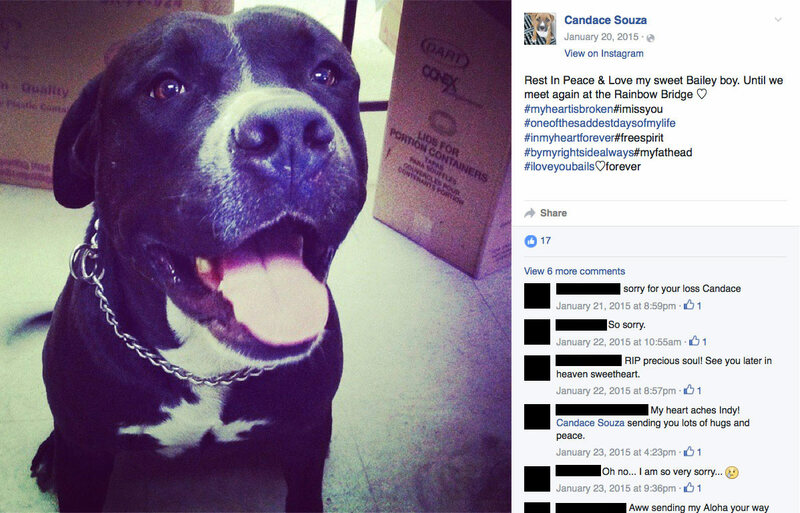 Now a year and half later, the couple is set to lose their remaining two pit bulls due to the horrific violence, destruction and death they inflicted upon a homeless man. Clearly clothes washing is a trigger. I figured I might as well say it first. Seriously when are people going to wake up. The carnage seems at a record pace this year. Yes, I added it to my list. "Washing your clothes in a stream" "Being Homeless" is already on my list. Several "being homeless" was already on my list. Despite all the pit bulls dying because of overbreeding, you advocates slave away to enable more and more breeders to breed more and more pit bulls! Why on earth is there only one news story on this buried several pages in on search results? Usually these DBRFs merit at least several news stories and are higher up on search results. When Hunter Bragg was killed, it was huge news. Are the pit nutters succeeding in scaring the media? Their cries of unfair media representation may be making reporters think twice. Because the victim in this case was homeless and probably had little or no family to mourn him. It's a sad fact of human nature not to care about someone in a position of "inferiority" particularly if that person has no support network of friends and family. Homeless people die every day without making headlines. Yes, I had trouble finding this story on line. His story will be buried and his life won't be given another thought by the pibble people. "The Hawaiian Humane Society released two dogs today to their owners after the dogs allegedly mauled a homeless man to death in Kalihi. Suzy Tam, Humane Society spokeswoman, said police authorized the Humane Society to release the dogs as long as the owners could safely contain the dogs at home." Looks like the owners got away with murder. And they feel terrible. Or so they say. Oh My God! Does Hawaii have a tourist site people can comment on? Don't Go to Hawaii where it is legal to let your dogs out to kill people! Good idea. HI is very dependent on tourism. If the state gets hit in the pocketbook, watch HI change its tune. I find it even more impossible to understand anyone that would want a dog back that had killed someone. I think I better go back to bed so I can wake up in the real universe and not Bizarro World. UPDATE: We added several new paragraphs to the August 12 update at the bottom. See "Second Victim Comes Forward." The dogs' owners also deactivated their Facebook pages, so we replaced those live links with PDFs. Well, well, well. Another disappearing FB page. That has NEVER happened before. The owners of Containerland have Yelp and FB business accounts. Would it be a violation of these websites to post about these attacks? The Hawaiian Humane society is in the dog fighting business, as are many animal control shelters in the United States. Special interests got in and contaminated organizations that recieve public funding, and if people would stand up to this, it would stop. All the more reason to stop giving them money. And tell your friends to do the same. The "relevance" section answers your question (Yes, it would be a violation). However, the Yelp page will still be interesting to watch to see if any locals do comment. The dogs might have been "part of the consumer experience" when visiting the store. For instance, here is "Bailey" who died in Jan. 2015 seen as the Cover photo of the ContainerLand Facebook page. Clearly the dogs spent time at the facility. Though we had not noticed this before, the ContainerLand business moved four days after Crisencio Aliado was found mauled to death. Looking at that a little more closely, July 29 was a Friday. By Tuesday, August 2, they were in a new building according to a Yelp review left by Jordan W.
"Containerland has moved to a new location as of 8/2/2016 – 666 Mapunapuna Street, Honolulu, HI 96819. I found the containers that I needed, and plan to return again for more!" The new location is 1.1 miles away. It is unclear what caused the move. We had noted that the KITV article called it the "old ContainerLand store in Kalihi." The owner's Yelp page does not indicate the move. However, a screenshot we took of the FB page on August 5 shows the address was updated to the new location. 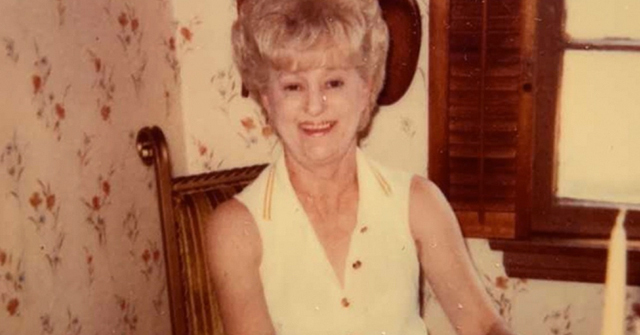 The public first hears about his death on Aug. 2, when the medical examiner announced that Aliado died of dog bite injuries. The Hawaii advocates for the homeless also seem to have abandoned this man and others. Does anyone know if there are advocacy groups in that area that actually represent the homeless and their interests? Is this a first? I don't recall seeing any reports that a dog who had killed a person was allowed to live, let alone returned to the owners. Then again, I am fairly new to these issues. As for the condition that the dogs be kept secure…yeah, that's worked out really well so far. Bizarro World is right! Is dog fighting big in Hawaii? Is there any evidence these are fighting dogs? We think it is the first of this kind. There have a been a few cases when the dog was allowed to live after fighting a lengthily court battle (Google Onion, kills boy on birthday). It is the first case that we know of when city officials (police and animal control) released the dogs back to the owners and without giving any citations or a dangerous dog designation. This was a vicious off property attack too. We also know at this stage that the owners knew the dogs were escaping the ContainerLand fencing and a year earlier, these pit bulls or other pit bulls owned by the owners, had attacked a female. No, there is no evidence these were fighting dogs.